Increasingly, PBMs are relying on massive stores of data to identify broader patterns that inform individual prescription decisions. The pharmaceutical industry has been making regular appearances in the news cycle recently. Coverage of America’s opioid epidemic and ongoing discussion around drug price transparency have kept prescription medication a headline topic. Pharmacy benefit managers (PBMs) are central to that conversation. They have a valuable role to play in managing both drug cost and patient safety — especially in workers’ comp. Increasingly, PBMs are relying on massive stores of data to identify broader patterns that inform individual prescription decisions. According to David Young, President and CEO of Optum Workers’ Compensation and Auto No-fault, this is a PBM’s true value proposition. R&I: Let’s start with the basics, what is the function of a PBM? 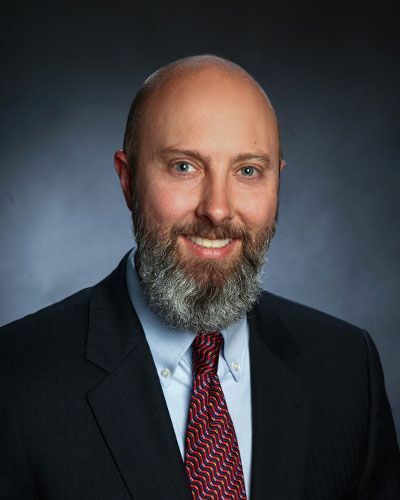 David Young: A PBM administers the medication benefit for companies or health plans on the group health side, or in the case of workers’ comp, for the carrier, self-insured company or their TPA. The primary purpose is to reduce the medication cost and maximize health outcomes. The primary functions of a PBM boil down to four buckets. The first is the claims processing, which is the processing and payment of prescription medications. The second component is managing the network of pharmacies. That can include home delivery and specialty pharmacies along with traditional retail pharmacies. The third leg of that is developing and managing the formularies and putting together clinical programs around quality and utilization. And then lastly the PBM negotiates medication prices directly with drug manufacturers. Read more about prescriptions that should raise red flags here. The PBM is really thought of as the hub of the prescription benefit. We’re taking care of all the key stakeholders in the value chain — the injured worker, the health plan or the policy holder, the pharmacies, and the pharmaceutical manufacturers. R&I: What are the key differences between a workers’ comp PBM and a PBM in the group health environment? DY: What makes the comp world unique is it’s managed at the state level, and there’s a significant amount of legislative activity around PBMs, formularies, and opioid management. There are more than 1,200 bills related to workers’ comp that are up for discussion in various states. Obviously not all of those will be adopted. but the regulatory component of a PBM is extremely important and we stay very close to that to ensure we’re providing our customers an up-to-date, compliant program. I think sometimes the customer base forgets that aspect of it; the complexity of managing at 50 different state levels. There are more than 1,200 bills related to workers’ comp that are up for discussion in various states. … I think sometimes the customer base forgets that aspect of it; the complexity of managing at 50 different state levels. Another complexity is that we don’t get into plan benefit design, which is what a traditional PBM would do. Their services are rendered under a ‘per member per month’ payment model. We don’t do that because we don’t have members, we have injured workers, and we never know how many of them there will be at any given time. So where a group health PBM would apply actuarial analysis to price a program, we’re more driven by the regulations. We price by what the state says is allowable. When you look at opioids, for example, a number of state workers’ comp programs have dictated that you can only dispense three days’ worth of pills at a time, and then you need a follow-up prescription. Group plans aren’t subject to the same rules, and don’t necessarily approach the opioid issue in the same fashion. R&I: PBMs do a have large role to play in managing the opioid crisis within the workers’ comp world. How else do PBMs provide value in workers’ comp? DY: The real value of a PBM is its ability to produce better medical outcomes for injured workers by carefully vetting drugs for safety and efficacy, and delivering them at a fair price. A PBM’s drug utilization and clinical programs are what really deliver the value. At Optum, for example, we have a committee of independent practicing physicians, nurses, and clinicians that come together on a quarterly basis to vet every medication, not based on cost, but based upon its efficacy against the disease state that is being attacked. And obviously cost comes into play. If you have two drugs that are equally as effective on a disease state, you want to drive to the lower cost alternative. But I think it’s important to note that cost is not the first driver in a good PBM program. It’s really driven towards medical outcomes, and ensuring that the individual gets back to maximum medical capacity as quickly as possible. R&I: Does every PBM take this approach, where quality is a priority over cost? How should organizations utilize their PBM to take advantage of these benefits? DY: There are organizations that use their PBM as simply a transaction processor, but they are leaving a lot of value on the table. Drug utilization and network management services are something any traditional PBM would offer. Health care tends to be very fragmented, but aggregated data lets you pull the pieces of the puzzle together and make a complete picture. You can rise above the transaction-level and see a patient as a whole. What organizations should really look for, however, are PBMs that are taking these services to the next level by looking to aggregated data for deeper insights. This means pulling together data from separate programs and looking outside of workers’ comp to examine broader trends in prescribing patterns. When you have that data, you can behave more proactively, flagging those prescribers that are outliers and letting your constituents know to proceed with caution. R&I: So technology is playing a larger role in the services that PBMs offer? DY: Yes. We are leveraging the power of data analytics and artificial intelligence to drive to a much better clinical result. Opioid management provides a good example. By amassing and bringing disparate data sets together, we can see things like an individual patient’s daily morphine equivalent dosage (MED), how many prescribing providers are treating a given injury, and whether they are communicating with each other. When we spot red flags like a consistently high MED, we can recommend other utilization tools, a weaning schedule, or drug adherence protocols. There’s a push in the marketplace towards electronic medical records and singular holding place for a lot of this data, but until that exists, we can serve as that central portal for adjusters. We can bring a level of transparency that has not existed in the past. Technology also plays a huge role in educating adjusters. These days, adjusters are trying to handle anywhere from 300 to 600 cases at a time. Presenting information to them that is actionable and synthesizing the data into something that they can react to — that’s an extremely important part of what we provide to the marketplace. R&I: How does consolidation among health systems, pharmacies and health plans impact PBMs? DY: The pace of consolidation within the healthcare system over the past decade is unlike anything I’ve ever seen, but this is great for us because all of their data is then aggregated on a common platform. We can then integrate with that data and gain a holistic picture of each patient. Previously the approach was so fragmented… we’d have to chase down doctor’s notes and records from 10, 15 or 20 different systems. From a technology perspective, consolidation creates transparency both for the health systems and for PBMs. From an operational perspective as well, consolidation also streamlines our process. Everybody has a customer portal or workflow engine, and one of the challenges for our customer base is managing all of those platforms across the myriad managed care organizations. Consolidation reduces that pain point by creating fewer parties to interact with. And of course, being part of a larger health system affords us greater negotiating power with pharmacy network and drug manufacturers. If you have suffered a work-related injury or illness, Northland Injury Law can help ensure you get full and fair compensation under the law. The attorneys at Northland Injury law are experienced in navigating the ins and outs of the workers’ compensation process and their experience can help you with a complicated claim. For a free consultation, please call (816) 455-7600. If you have a question or think you might have a personal injury or worker's comp or auto injury claim, we would like to hear from you. If you’ve been injured and aren’t sure where to turn, let us help. We represent individuals in many areas of personal injury including truck, auto and motorcycle accidents, property liability (slip & fall), spinal cord injuries, and more. Injured at work? We can help! If you have suffered a work-related injury or illness, we can help ensure you get full and fair compensation under the law. Small Enough To Care, Smart Enough To Win. Northland Injury Law: Personal Injury Lawyers in Northland Kansas City and Northwest Missouri. Proudly serving: Gladstone, Liberty, Kansas City, North Kansas City, Saint Joseph, Plattsburg, Cameron, Chillicothe, Trenton, and more. 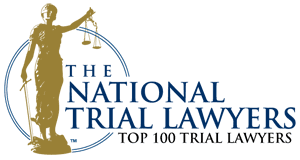 The Northland Injury Law Firm has been practicing in the Kansas City area for many years. Our founders, Max Von Erdsmannsdorff and Steve Mowry, built a strong foundation for the firm. 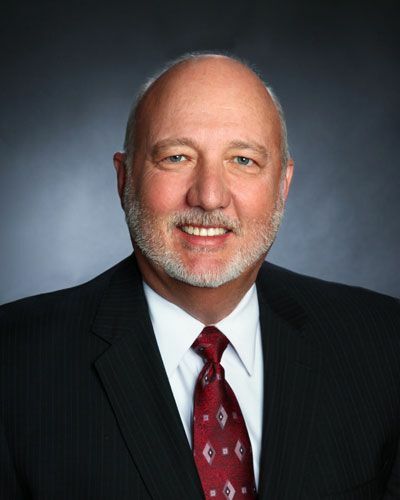 Since Eric Bartlett joined the firm in 1996, Northland Injury Law has earned a reputation for success, honesty and compassion in personal injury and worker’s compensation. “I found Northland Injury Law to be very professional and honest! They kept me up to date on my case. I would highly recommend the whole firm for all your legal needs! !” – Michael T.
Northland Injury Law is proud of the relationships they’ve built with the clients they have served in the Northland and surrounding areas. Their many great results for seriously injured people have helped their clients recover the significant economic losses that attend such serious injuries. When it comes to a lawsuit after an accident or injury, representation matters! Most people do not realize that insurance companies have teams of lawyers, investigators, photographers and defense experts who immediately go to work following a serious accident involving their insureds. They hire these people to minimize their exposure throughout the claims process and to reduce the amount received by the victim. Northland Injury Law aims to level the playing field for their clients. “This is an excellent law firm. They helped me out after an accident and did an awesome job. I would recommend this law firm to anyone who needs a good lawyer.” – Toni B. Between them, Mr. Mowry and Mr. Bartlett have over 50 combined years of legal experience in the Kansas City Northland area. They have both been recognized by KC Magazine as “Top attorneys in Missouri and Kansas” and both have been recognized in the National Top 100 Trial Attorneys. 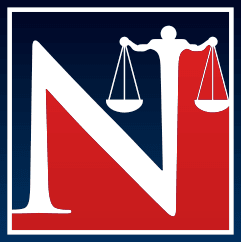 If you require the services of excellent local lawyers after an accident or injury, call Northland Injury Law today for a free consultation at 816-400-4878. Get answers about our Kansas City law firm, like how and when to file a suit for your Personal Injury & Worker’s Compensation. This website and the information it contains was prepared for informational purposes only and should not be regarded as legal advice. Use of this site, including contact with NORTHLAND INJURY LAW via e-mail, does not imply, create or constitute an attorney-client relationship between you and the firm. You should not act upon this information without seeking professional consultation. Please note that transmission of information via the website e-mail is not guaranteed to be secure and confidential. You should not send confidential information to the firm until you have received notification of acceptance from Northland Injury Law for any legal services you may request. If you have additional questions or wish to contact us via other means, you may call us at 816-400-4878 or mail us at 5600 NE Antioch Road, Kansas City, MO 64119.